Running is so mind-over-matter it’s not even funny. The average human body is capable of running semi-long distances, but that doesn’t mean the average mind can meet that full potential. Not even close! So, for the runners that go at it day in and day out we respect you for your dedication and are glad to have other people like us out in the world. 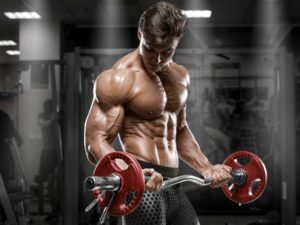 Here at BestWorkoutSupplementsBlog.com, we specialize in workout and athletic supplements. We pride ourselves with the ability to see through proprietary blends, dismiss hype, and siphon through all the products out there to find the best. As you will see here, we did a pretty good job of that for the class we like to call: Best Supplements for Runners – Energy and Endurance. When it comes to running supplementation and sports supplementation, we must recommend that you supplement in moderation and study your own body. The work you are doing is intense, and a lot of the products that are advertised for working out are really not good for an athlete running full speed for long periods of time. That’s why on this list we have not included any products that contain significant caffeine or other aggressive stimulants. Yeah, some guys go that route and reach for a strong stimulant pre workout but it’s not worth it. Leave that to the bodybuilders who are into that kind of thing and not doing extensive cardio. After all, in the grand scheme of things if you want long term success then we’ve got to nourish your body for victory and not drug it out. Depending on your activity, some of these products may not be for you due to creatine content. 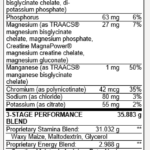 So, if there is creatine in a product we will tell you. All you need to do is read the description we’ve provided with our own intellect and from there you can continue your research. Below, we have some great supplements for boosting energy and endurance for runners. This list is our opinion, and you may notice a few solid supplements that are also listed on the best caffeine free pre workouts list. That’s no mistake, a lot of these supplements are interchangeable. However, this list here in particular will contain less creatine and more carbs, amino acids, and other ingredients that take a runners energy and endurance to the next level. When we talk about these supplements, let us remind you of a few things. While supplements like these help, they do not do the work for you. So remember, you are the core of your efforts. It all starts with you and your core diet. From there, supplements like these can enhance your game noticeably, but not necessarily drastically. To sum it up, a supplement isn’t going to take you from not running to running 6 miles a day overnight. But, what you can hope for is if you are already running 5 miles to be able to up your efforts to 6 miles relatively seamless with the assistance of quality supplements for running. Make sense? 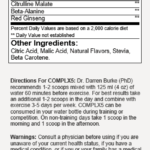 Our first choice for running pre workouts goes directly to Rivalus’s Complx5 for a few solid and dependable reasons. First and foremost, Complx5 is a collegiate friendly supplement. This means that Complx5 is safe, ethical, and accepted in sports that conduct testing for performance enhancing drugs. Second, each ingredient in this athletic runner’s pre workout is designed for increasing power and endurance in cardio based exercise. Now of course that has got to get your attention. The formula for this running supplement is pretty simple and straight forward as you can see. We have micronized bicarbonate to directly combat lactic acid, N-acetyl tyrosine to support energy, citrulline to increase blood flow and fat storage metabolism, beta alanine for endurance along with red ginseng for energy and circulation. Put all of these beneficial ingredients together in an easy to take 5 gram serving and you’ve got your new pre-game supplement that you can take before the race, game, swim, or whatever cardio based task you are up against! There are additional pre workouts that are great options for runners and high intensity athletes. For a good selection, you can view our stimulant free pre workouts list. 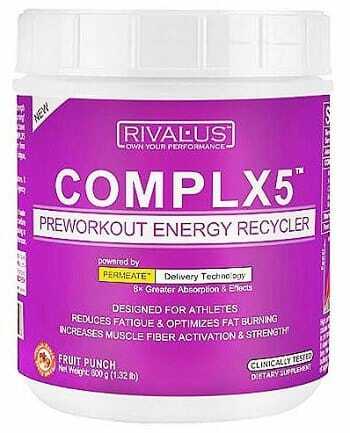 If you are a collegiate athlete, then we recommend you continue looking at Complx5 by Rivalus. But for everyone else, you can go ahead and see everything that is out there for you. This is especially appealing for those trying to build muscle while running. As you may be able to see, a lot of these running supplements contain endurance based ingredients such as branch chain amino acids and carbohydrate blends. This is no mistake. We specifically chose these supplements for the dual purpose of both starting your run better and then later pushing it to the max with better endurance thanks to amino acid and carbohydrate nourishment. With that being said, you can also consider taking smaller servings of these supplements throughout your athletic activity to keep it going. Our first intra workout running supplement goes to Cytosport’s own Cytomax carb based endurance improving powder. 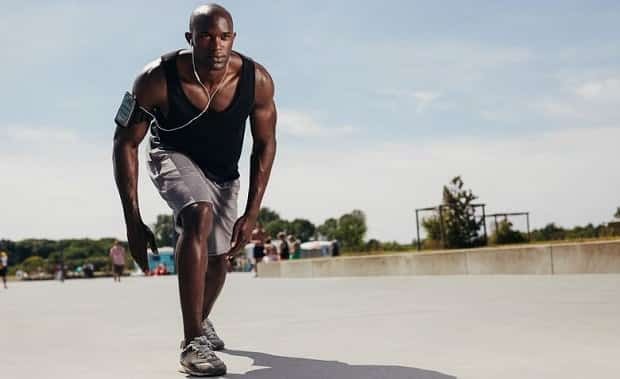 Cytomax is a carbohydrate focused supplement, but it also comes loaded with vitamins and minerals that act as co-enzymes for metabolism during exercise. 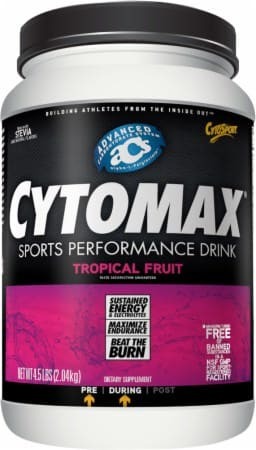 In addition, Cytomax has a small BCAA complex in the formula which may benefit amino acid metabolism along with a very small serving of caffeine. Typically, we are not in favor of caffeine in endurance based supplements. But, per serving Cytomax contains 35 milligrams of caffeine which is about a third of a cup of coffee. For most runners, this should not impose negative effects like raised heart rate. But, you can anticipate an energy boost alongside an ‘effort reduction’ which is the primary benefit of caffeine in exercise supplements. The standard directions for this running carbohydrate supplement is as follows, and if taken accordingly should offer the best endurance results. Mix either one scoop in a standard sized water bottle (around 400 mL) or two scoops in a larger water bottle (ex. 700 mL and up). From there, drink around 5 ounces of water every 15 minutes. Of course, you can approximate and adjust this based on your intensity and bodily needs. 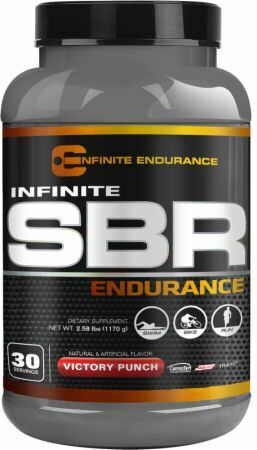 Our second choice for carbohydrate supplementation while running is Infinite Lab’s SBR. In many respects this supplement is similar to Cytomax, and maybe even better. We base this off the waxy-maze sourced carbs and additional vitamins, minerals, and anti-oxidants present. The only reason why we did not list SBR above Cytomax is price point. Currently, Cytomax is a steal coming in at around 50 cents per serving. SBR on the other hand is in excess of a dollar per serving. To us, that price point matters enough, but you can decide that for yourself. 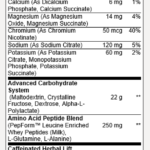 In addition to the carbs, vitamins, minerals, and anti-oxidants present in SBR there is also a creatine matrix present. This will eliminate SBR from most collegiate sports, but to our present knowledge this is acceptable for triathletes and other competitions. The purpose for creatine in an endurance supplement is to help provide additional energy molecules in muscle and neurological tissue for times of high intensity. For many this will be a benefit, but if you personally have not done well with creatine due to water imbalance then approach with caution. For high intensity running, aka sprints and 1 mile power runs an endurance BCAA supplement may be ideal. Taking a BCAA before or during running will take on two effects. First off, the amino acids will provide additional energy to your muscle cells thus reducing fatigue. Secondly, the amino acid influx will stimulate muscle growth and recovery. Where carbs come into play for long endurance runs, BCAAs can add endurance to the sprinters and allow muscles to grow. 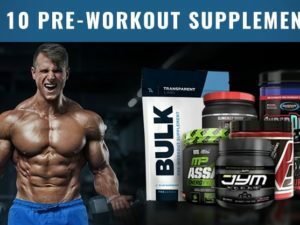 We do not have any ideally special BCAA supplements for runner’s right here, but you can see our best Intra Workout BCAA supplements list for some ideas. Running all comes down to you. At the end of the day, some people like you have it and the majority of people in the world do not. When your trails get tougher, your muscles start to ache, and you want to take your game to the next level – look upon supplementation with lots of research. But, until then you don’t have to sweat the small stuff. Supplementation is not required to get started, all you need to do is put one foot in front of the other. But after that, when it gets serious, remember us!